Seattle Seahawks cornerback Richard Sherman said Seattle’s defensive backs cracked Peyton Manning’s hand-signals during the Super Bowl to stymie Denver’s record-breaking air attack en route to a dominating 43-8 victory. 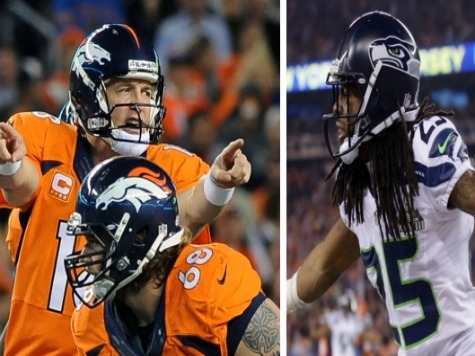 Had Peyton Manning switched up his signs, Sherman conceded that the Seahawks could have been in trouble–especially if he caught them while they were jumping routes. “Now, if Peyton had thrown in some double moves, if he had gone out of character, we could’ve been exposed,” he said. Sherman acknowledged that he may never crack Manning’s famed “Omaha” calls, but the defender known for his brashness and trash talking is considered one of the smartest students of the game. The Stanford graduate is known for always being the best prepared, doing his homework, being relentless in the film room and studying the throws of quarterbacks and learning their tendencies. He does not get by just on his talent. In addition, because Sherman had been a receiver before he switched positions, he can also figure out what routes receivers are running by simply looking at their splits. All that has made him into the league’s best shutdown cornerback, something Sherman is never shy about telling people himself. The legendary John Wooden always said that “failing to prepare is preparing to fail,” and it is all the work Sherman puts in before games that has made him a success. Here is a segment detailing how Sherman prepares for football games.